Windows 10 Mobile has been around for a while now, but not so many handsets out there have this Microsoft OS already installed. 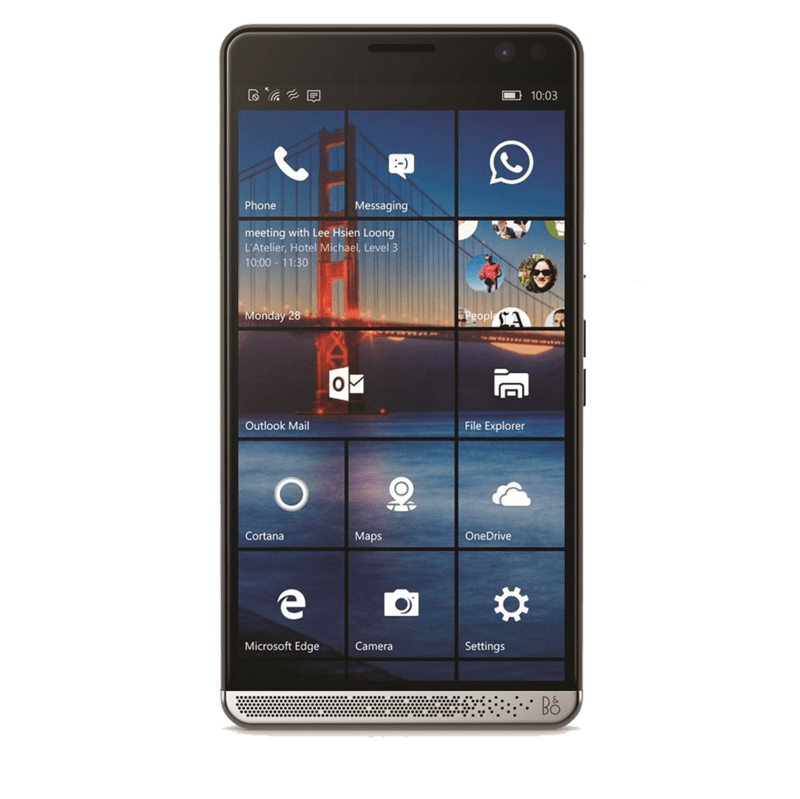 With Windows Phone having been miles behind the likes of Android and iOS in terms of popularity, the upcoming HP Elite X3 is ready to boost the numbers in the Microsoft camp. Apparently, the new HP Elite X3 will be valued at $699, but this is just on the lower side of things. To some, the phone may look more like a phablet, however, HP is adamant that the Elite X3 could easily take the place of your PC thanks to its powerful processor, innovative accessories as well as the great Windows 10 OS. The phone has been coming for months now following its announcement at the MWC 2016 event. It packs a 5.96-inch AMOLED display screen that has a resolution of 2560 by 1440 pixels, which is what you will find on the likes of Galaxy S7, S7 Edge, LG G5 as well as HTC 10, among other flagship handsets out there. The screen is protected by Corning Gorilla Glass 4 technology, which shouldn’t be a new thing in the flagship smartphone world. The huge size of the HP Elite X3 means that it is also heavy, weighing a massive 194 grams, but it is still thin at 7.87mm. You will come across a dual-SIM configuration for using two SIM card slots. Under the hood, the Elite X3 has a Snapdragon 820 SoC that is paired with an Adreno 530 graphics card capable of processing videos of up to 4K. This processor is supported by a decent RAM of 4GB while the internal storage stands at an impressive 64GB. There is room for microSD card storage, which can accommodate up to 2TB of storage. The back of the HP Elite X3 has a 16MP snapper while the front has an 8MP sensor for selfies. You also get to use biometric authentication on the handset – an iris scanner and fingerprint scanner – features that work even better thanks to Windows 10’s deep integration. The smartphone will be sold together with a Desk Dock that allows users to connect it to a larger external display and other accessories. However, this will push the price of the HP Elite X3 by a further $100. But for this, you get room to attach a display unit, Ethernet cable, USB-A and C for attaching things like mouse, keyboard or external storage, among others. Besides turning the Elite X3 into a desktop, it will also be possible to turn it into a laptop. This will need an accessory known as Lap Dock. This accessory packs a 12.5-inch display with Full HD resolution, a keyboard and it can be attached to the smartphone via a Type-C cable or wirelessly. The phone will be available for purchase in the U.S. when it is availed this month.